Apologies for the lack of blog posts recently but there has been a lot going on and some exciting developments in the pipeline that I can’t QUITE report just yet. But I can report that, thanks to the ColaLife supporters who sponsored me and the other cyclists, we have raised enough money for a trip to Zambia in October which is brilliant and just where we wanted to be at this point. The ColaLife team (there are 3 of us at the moment!) have been researching various African countries for a few weeks now. We’ve been tagging some of the key information we have found ‘colaliferesearch’ and you can see these resources here. Why Zambia? We have looked at the following countries as possible locations for a trial of the ColaLife concept: Ethiopia, Ghana, Kenya, Madagascar, Malawi, Nigeria, Tanzania, Uganda and Zambia. This has involved looking at the overall country data on population, culture, health, Coca-Cola-related infrastructure, drug availability and supply chain and public health infrastructure. We have also looked at case studies of existing health initiatives and we have initiated conversations with local and international NGOs and government officials in some of these countries. Assessing all of this information, Zambia is the country we would like to focus on initially for the independently evaluated trial. I am in communication with Coca-Cola and I’m expecting them to provide an introduction to their bottler, SABMillier, in Zambia. 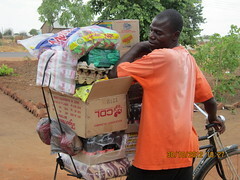 Transaid (Transport for life) – who have a deep understanding of health logistics in Zambia. They have just completed a three year project there. Incidentally, they have also done work for SABMillier in the past, training SABMiller drivers. 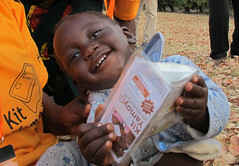 Since making this decision, old friends on mine in Zambia have offered accommodation and transport which is brilliant. During the coming week, before the bicycle ride, we will be making additional links including to Zambia’s Ministry of Health, the DfID-supported MSL (Medical Stores Limited) and with DfID itself. I will be outlining the detail of the visit and what we want to achieve in a future post.